That laying sounds like the one geez thats good ahe. Here is a pic of her, and yeah was penned with ricky at one stage. Here is a picture of her son. 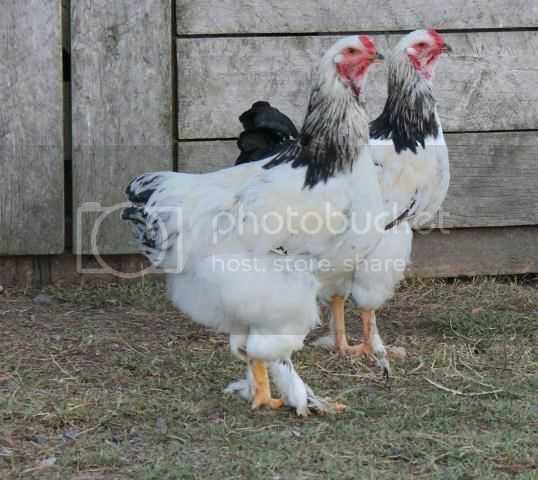 Theres a couple of other hens in those photos i was gunna use to add foot feathering. Thats as far as ive got. If you needed her no worries im sure shed enjoy it the company. But if i could i would still like to use her again one day. I meant the barney hen, to come round to go with one of my barnie ckls, so you can get something from her before shes too old. don't need the SLW girl back, but that son of hers looks the goods, hve you thought about pairing him with the silver hen at the forefront of the first pic on the prev page? Hes a nice looking fella alright definately the bird you want to persist with, when i can ill try that pairing you mentioned using the hen on the previous page which was in my thoughts as she has nice leg feathering. 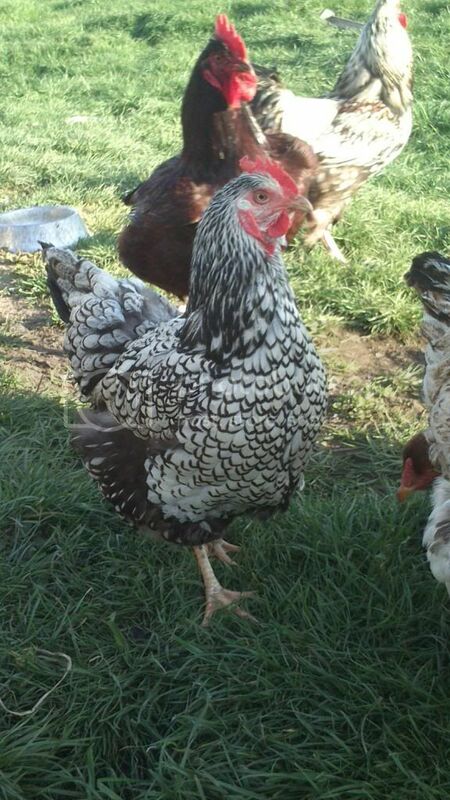 I was going to use her with both those roosters the partridge fella and the silver laced fella. 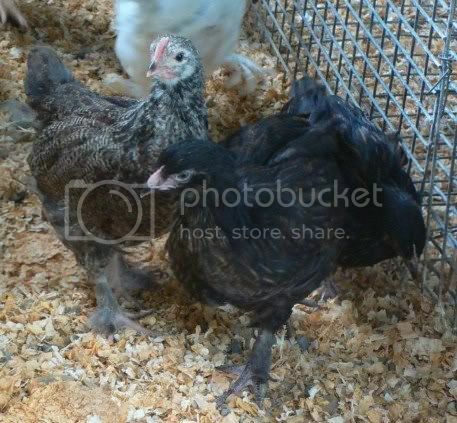 Her mother is that darker silver columbian hen of the 2 you used of mine a few seasons back and the father of both the hen and silver laced roo in the photos here is that chunky silver Col/col eb/ewh Pg/pg hetero pea fella you gave to me a while back, was this the sire bird of your chunky pencilled fella?. And yeah by all means your welcome to use the barny hen, be good to see her put to some use, she has developed one spur later in life dose this matter? she is nicely built. She has very minor feather stubbs, almost nothing but it is there. She has been a good layer. at the moment she lays atleast every second day and the odd occasion in between. Just noticed the barny hen is in the background of the very first photo i put on this thread. MountainMan wrote: ... Her mother is that darker silver columbian hen of the 2 you used of mine a few seasons back and the father of both the hen and silver laced roo in the photos here is that chunky silver Col/col eb/ewh Pg/pg hetero pea fella you gave to me a while back, ..
oh that makes sense, he is the sire of the light fella on page one! I can see that width of head coming through from him on her. I remember the bottom photo yeah you were excited at the time haha, but yeah rightly so he filled out nicely and his son has likewise. Also as im not 100% on the breeding effort at the moment you are welcome to use any of my birds here to breed with, i know your probably sorted but just thought id throw that out there. 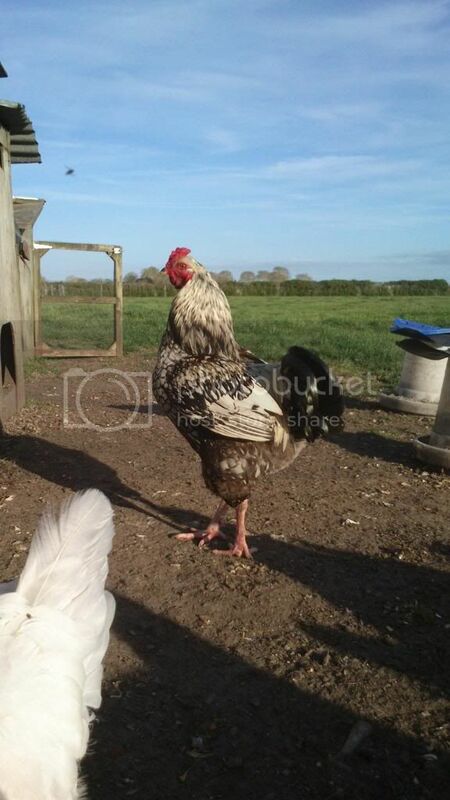 this guy below is a son of the roo on the first pic, out of the 'bullhead' hen. I think you have to remove the 'not quite .. yet' from the headline now. They're very confident looking birds and once they turn up in a show cage they'll certainly turn heads. Very well done, Buzzard. Man they look big, how tall would you say they are? Sussex like? And feet feathering looks really good also. thanks Marina, however, they're like any other breed - always room for improvement! I see what you were talking about yesterday, you have done well. Hi there. It's been a long while since I've checked in here. Buzzard....your Brahma project is looking great! Sadly I don't have any pure Brahmas any longer. 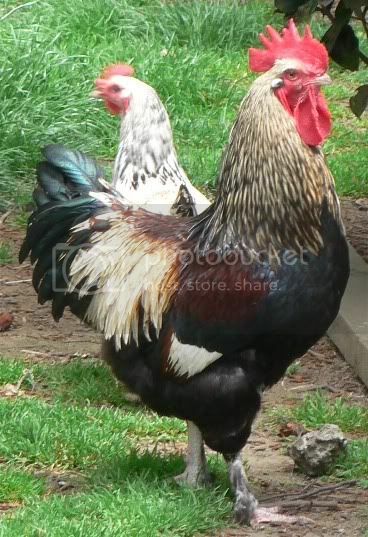 I do have 3 Brahma x RIR. It's a shame, but I saw no other option other than to crossbreed them as the gene pool here is Thailand is way too small and they were becoming just too inbred. Their health suffered in the end. The current crossbred Brahma girls however are doing really well. I think the addition of new genes has really helped my strain. I will be coming to NZ for a visit in March for 3 weeks, and while I'm there I could be interested in some fertile Brahma eggs if you had any to spare? 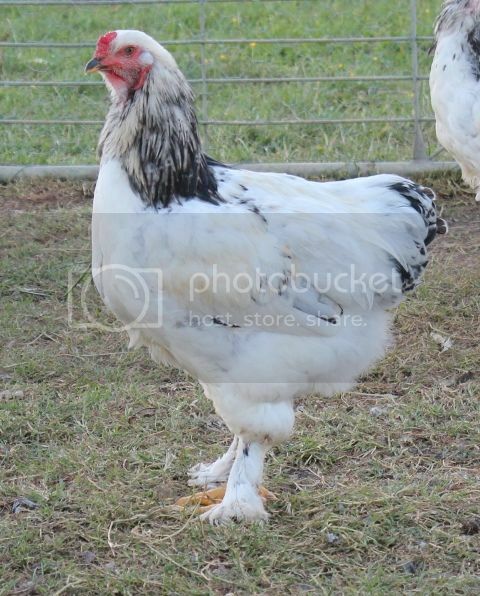 It'd be great to breed my Brahma cross girls back to a Brahma. The source I had here in Thailand has fizzled out. Anyway, please let me know if you might be able to help me out. Missing my Brahma...such beautiful birds and very friendly too. Unfortunately Buzzad is no longer active on this forum - he hasn't been seen for over 2 years - so I assume he won't see your post. March is the end of the breeding season here - most breeders let their birds out to free range after the summer solstice in December or even earlier than that. If there was any hope to get fertile Brahma eggs in March it would be worth trying to contact Buzzard in some other way but I doubt it's worth the effort. September and October are the best months to get fertile eggs here in New Zealand. The birds in your pictures look lovely. 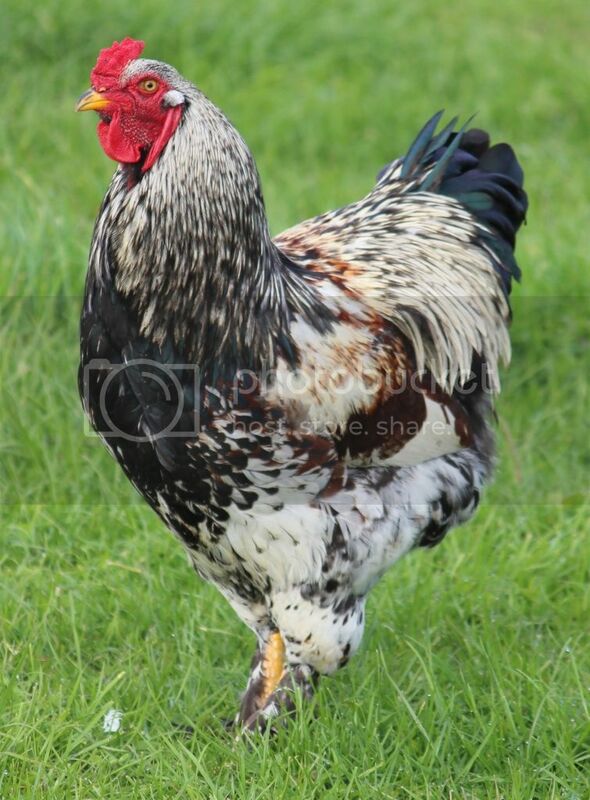 Have you got a Brahma x RIR male? You could do a brother x sister mating and see what you get. You might be surprised!